Brighton has lost one in six of its offices in just two years, according to the Brighton and Hove Economic Partnership. It said that 800,000sq ft of office space has been lost since a change in the law made it easier to turn offices into flats and houses. 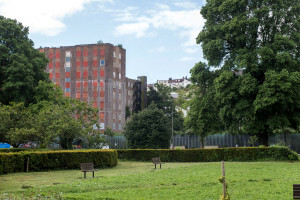 The Economic Partnership said: “As the government promises to make an announcement on the future of the controversial office-to-residential scheme in the ‘not too distant future’, Brighton has lost about 16 per cent of its office space since the introduction of the permitted development rights. “Planning Minister Brandon Lewis told the Communities and Local Government Select Committee that the government is looking to make an announcement on the future of the permitted development right ‘relatively soon’. “Speculation grew earlier this summer that the government would announce an extension to the permitted development right allowing offices to be converted to homes without planning permission before Parliament’s summer recess. “In the end the expected statutory instrument did not materialise but Lewis said that an announcement would be made in the ‘not too distant future’. “He said that the government has been considering feedback from a consultation on the proposals. “He added that the government wants to ensure that the proposals to emerge take into account the views of local authorities and deliver housing. In the past businesses have expressed concern that too much of Brighton and Hove’s office stock is low grade. Some office buildings such as Anston House, in Preston Road, opposite Preston Park, has been empty for many years. There are concerns that business will relocate away from Brighton and Hove as they grow and that a growing number of people will have to commute elsewhere for work. This would exacerbate traffic and transport problems in the area and risk turning Brighton and Hove into a dormitory for London and Gatwick.